Product prices and availability are accurate as of 2019-04-20 15:20:14 UTC and are subject to change. Any price and availability information displayed on http://www.amazon.com/ at the time of purchase will apply to the purchase of this product. Locking pin with unique and classic appearance. 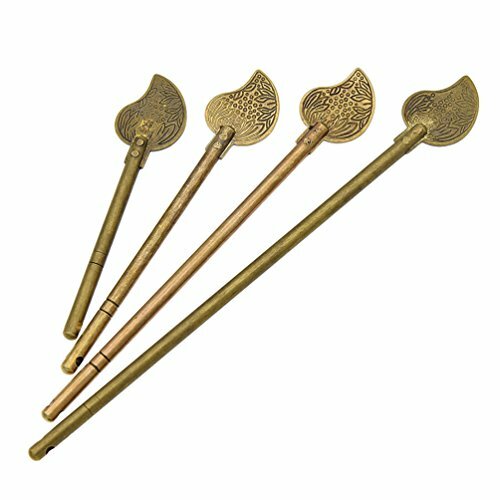 Made of pure brass by skillful Chinese cabinetmaker with traditional techniques. Easy to install it on your simple cabinet, you will find a new and unique look magically! Its thickness and firmness is enough to meet the require of traditional furniture. There is a small hole on the end where you could tie a tassel. PS: Order will be shipped via E packet if total amount reachs 5 USD.